Attitash Mountain Resort is pleased to announce its 19th Annual Oktoberfest, to be held this Columbus Day Weekend, October 8th and 9th. The annual fall festival will feature plenty of beer, German food and music as well as activities for both young and old. The weekend gets off to a running start with the annual Hills & Hops 5k featuring a course spanning the base areas of both Attitash & Bear Peak. A shorter, one-mile option is available as well. All event proceeds benefit the Attitash Alpine Educational Foundation, a non-profit youth ski racing program operating in the heart of the Mount Washington Valley. Registration is available online and check-in opens at 7:30am at the Attitash Adventure Center on Saturday with the race starting at 9:00am at the base of Attitash Mountain. The Oktoberfest gates open at 12:00pm at the base of Bear Peak on both Saturday and Sunday. Festival-goers will find traditional Oktoberfest food and beverage offerings inside the festival grounds including beers and ciders from 19 different breweries from across the region. Throughout the weekend traditional Bavarian music will be performed from the world renowned King Ludwig’s Band. A true family festival, the Attitash Oktoberfest offers activities for all ages. Within the festival grounds the Midas of North Conway Kinderplatz will feature arts & crafts, face painting and other mini-games for kids organized by the Mount Washington Valley Children’s Museum. Outside, youngsters will also find a giant inflatable obstacle course to play in. Adults can participate in the spectator favorite keg toss or the Sam Adams Stein Hoist where participants attempt to hold a full beer stein for as long as possible. Oktoberfest traditionally coincides with some of the best fall foliage in New England. This year the Columbus Day weekend will feature colors at their peak across the White Mountains. Attitash Mountain Resort will operate the Flying Bear Quad for scenic chairlift rides from 10:00am – 4:00pm Saturday, Sunday and Monday. Adventure seekers can also experience the best foliage view from above the canopy by hopping on the ZipTour – New Hampshire’s longest zip line. The Alpine Slide & Mountain Coaster will also be open for one last weekend as well. Doug Fichera, Liz York and Paul Doucette are joining the year round management staff at Black Mountain. Black Mountain is a family owned and operated ski area in Jackson, NH. 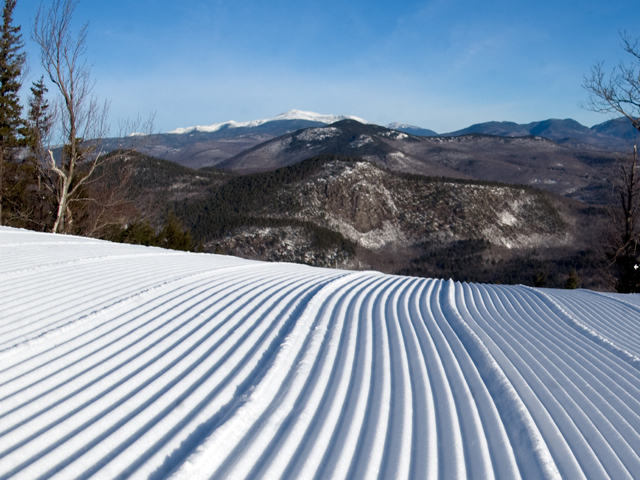 It has been in continual operation since 1935, and has 145 skiable acres. Black also offers a mountain side horseback riding program, including overnight horseback adventures. For more information, please contact Liz York at liz@blackmt.com or 978-886-3827. Join Black Mountain for Their Annual Snow Dance! Snow Year at Black Mt! Snow Dance! Saturday, November 23rd 4:30 p.m.
Festivities start at 4:30 with our huge bonfire, and the grill will be flippin’ Burgers and Dogs for everyone to enjoy! Carlene from Symmetree Yoga leads the group of hopeful snow bunnies! us in her famous Snow Dance for the Snow Gods! The more snow enthusiasts we have, the more snow we receive! (As least that is what we tell ourselves)! To help us celebrate the kick off to a snowy season we wicked excited to have Rek’lis, an extremely popular locals band playing in the Lostbo Pub! The Lostbo Pub will be celebrating with a new to the market tasty IPA: RebeI IPA, come check it out- the only place you will be able to check it out! So, come and help be the reason for the season of Snow! Dance kicks off around 5:00, don’t miss it! Black Mountain is a family owned and operated Mountain going into it’s 79th year! Come see why we love it here! Both Attitash & Wildcat head to Boston continuing to message the vertical, value, & variety offered with season passes, discount cards, lift tickets, and gift cards valid for use at the two Mount Washington Valley ski areas located only 20 minutes apart. Representatives from both mountains will also be sharing what’s new including the free learning area, surface lift, and relocated Abenaki Park area at Bear Peak; a surface lift installed at Wildcat; and snowmaking improvements, value-based Learn2 Ski or Snowboard initiatives and a new stunt airbag that will be set-up and scheduled for use regularly throughout the season at both mountains. One of the more anticipated returning specials for Attitash and Wildcat are $125 gift cards that can be purchased for only $100. “We’ve had tremendous success selling the gift cards with the show-only associated bonus offer,” said the Attitash Mountain Resort and Wildcat Mountain Director of Marketing Thomas Prindle. “Essentially, our customers can purchase the gift card for $100 and we give them back $125 to spend toward tickets, food, ski school lessons, lodging, and more when they visit Attitash and Wildcat.” In addition, both resorts are excited to bring back the Vertical Value Card which offers up to a 50% discount off lift tickets all season long. For the cost of $89, the Vertical Value card includes the cardholder’s first day lift ticket for free and a 10 – 50% discount off regular full-day ticket rates all season long. The Vertical Value card also allows the cardholder to bring a friend to either resort on non-holiday Wednesdays all season long and that friend can purchase a ticket at half the normal midweek full-day ticket rate. New this year, Attitash & Wildcat also plan to unveil additional new Boston Ski Show-only specials with details to be announced at the start of the show. In addition, both resorts will also be giving away custom-made Attitash and Wildcat Mountain recyclable shopping bags, posters, stickers, and more to show attendees who stop by to hear about what’s new and to purchase any of the show-only specials. The show, taking place in Boston at the Seaport Convention Center, begins at 3 p.m. Thursday, November 8 and will have show hours daily through Sunday, November 11. Attitash and Wildcat Mountain will be located in booths 180-182. A ski show event schedule and admission coupon is available or tickets can be purchased online at bewisports.com. Attitash Mountain Resort, located in the Mount Washington Valley, most recently earned a spot among SKI Magazine’s Reader Resort East’s Top 20 Ski Areas. Offering two distinct mountains, Attitash and Bear Peak, and one of New England’s most advanced snow making systems, Attitash is known for its signature terrain parks, ski school and children’s programs, open-glade terrain, après entertainment, family value, the year-round mountain coaster attraction, and quality slopeside accommodations featuring the Attitash Grand Summit Hotel. For further information, please visit http://www.attitash.com or call 1-800-223 SNOW. Wildcat Mountain, located in Pinkham Notch, is home to New Hampshire’s most powerful quad summit chair lift and is renowned for its high summit elevation over 4,000 feet and greater than 2,100 vertical feet of skiing and riding; longest novice trail in the state at just under 3 miles; and proximity to Mt. Washington that contributes up to 200 inches of snow and a long winter/spring season annually. Wildcat Mountain has consistently been rated #1 Scenery and most recently earned a spot among SKI Magazine’s Reader Resort East’s Top 20 Ski Areas. 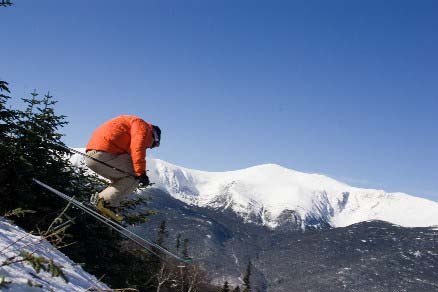 For further information, please visit http://www.skiwildcat.com or call 1-888-SKI WILD.